The annual tradition that captivates audiences at NC State and in Raleigh returned on April 28, 2017 for a celebration of the “Art of Deja Vu.” Art2Wear, a runway show that is designed by students from inception to execution, merges fashion with art to push the boundaries of creativity. 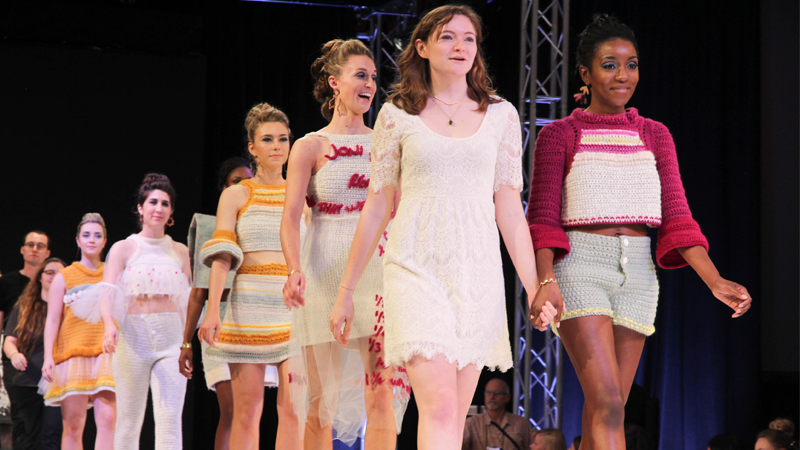 In its sixteenth year, the show featured work from the First Year students’ Wearable Paper Project, the collections of ten Art2Wear fashion designers, as well as handmade products sold by students. Take a look at some of the photos from this year’s spectacular show!